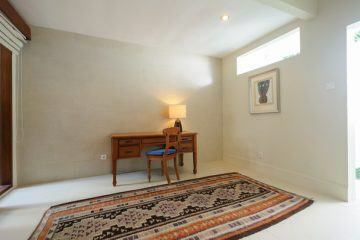 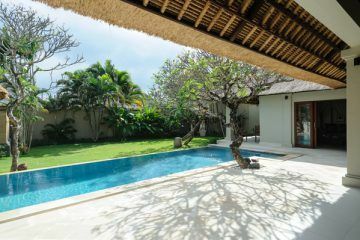 Price reduced from IDR 5.700.000.000 now IDR 4.950.000.000! 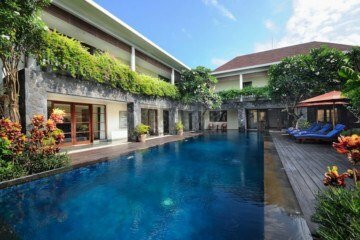 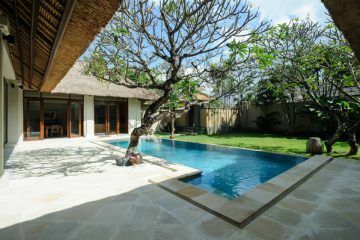 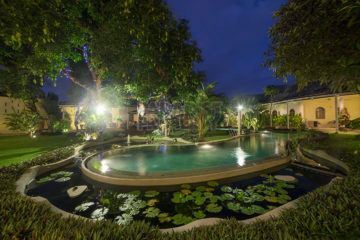 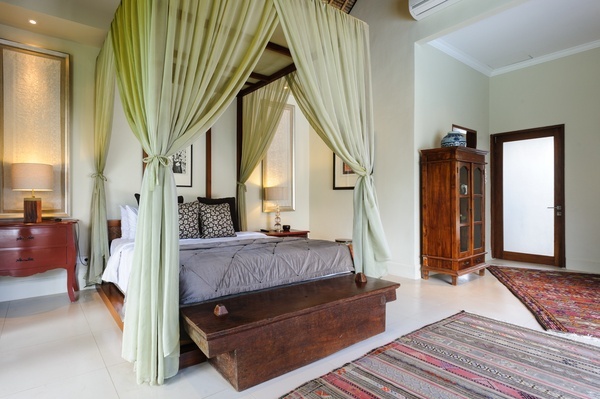 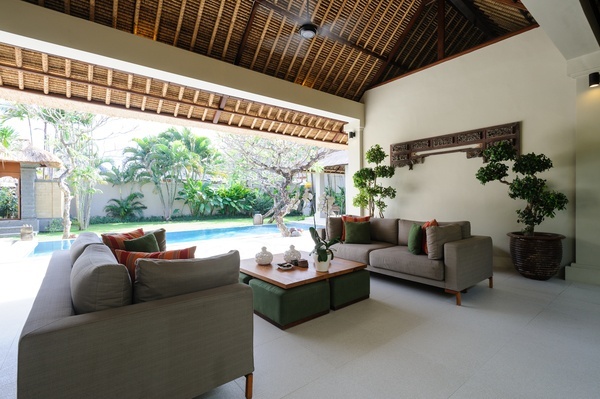 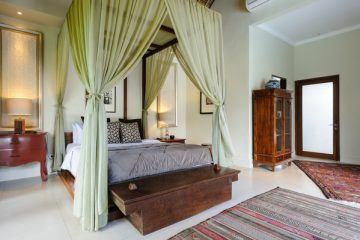 An extraordinary villa with beautiful tropical garden and swimming pool await you in the seaside community of Sanur. 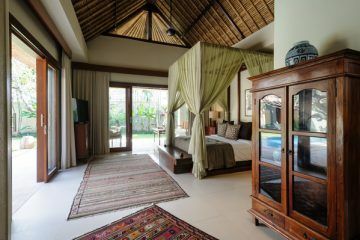 The property is designed by a Swiss architect, Oliver Gehlen, who masterfully blended Balinese style with the conveniences of Western living. The Villa is inspired by nearby luxury resorts and offer graceful living. This villa is part of a small (4 villas) complex with shared parking and entrance. 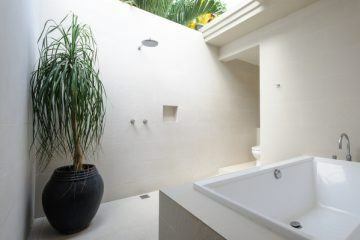 Each uniquely designed villa is a private home featuring two, three or four en suite bedrooms surrounding a sparkling swimming pool and lush garden. 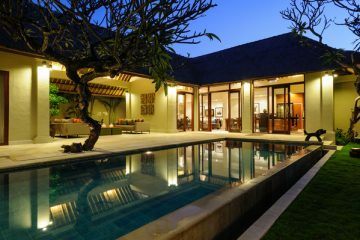 Sanur is centrally located with easy access to Ngurah Rai Airport, Seminyak, Nusa Dua and Ubud, the cultural center of Bali. 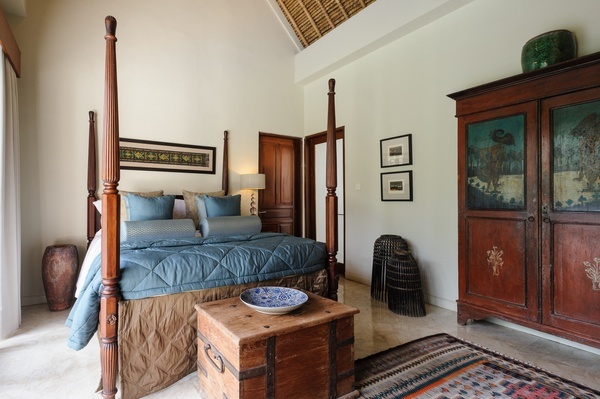 This popular traditional beachside village is known for international restaurants, world class Resorts, white sand beaches and beautiful sunrises. This villa is an excellent owner occupied investment or holiday home for families and friends. 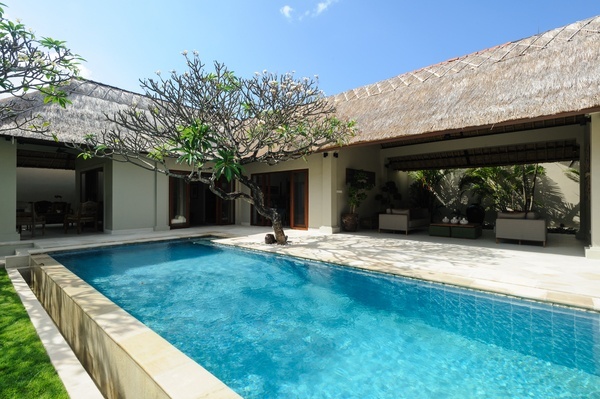 Year Built : 2006, Fully Maintained And New Alang-alang Roof In 2017.